José Sarukhán Kermez is recognized for his ability to translate scientific knowledge into action by creating and strengthening educational and policy institutions which have rallied the public to protect biodiversity in Mexico, with ripples that have spread worldwide. 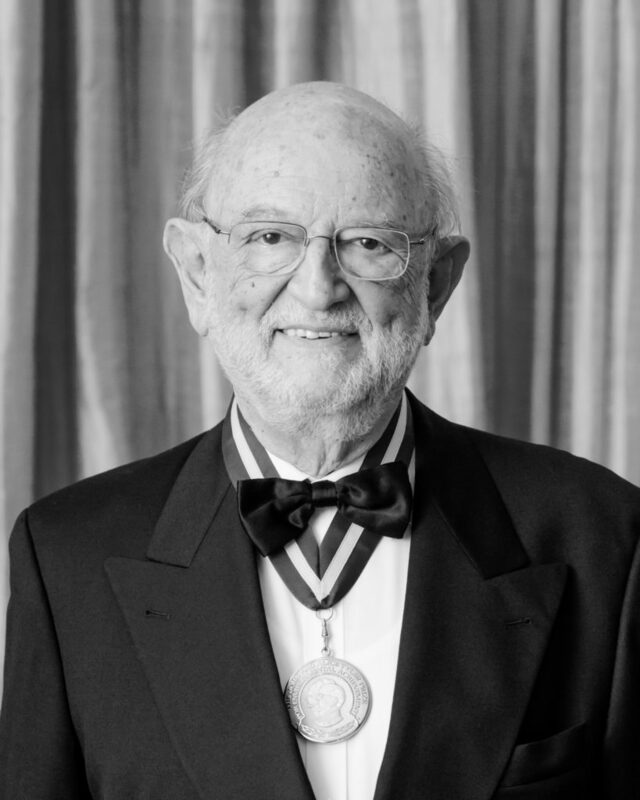 Often referred to as the founding father of ecological research in Mexico, Professor José Sarukhán is among the best-known ecologists and conservation scientists in the world. Over the course of his 60-year scientific career, he has published more than 150 papers in leading peer-reviewed journals and more than 15 books. He is a Foreign Member of the US Academy of Sciences, the Royal Society of London, the American Academy of Arts and Sciences, as well as a Member of The World Academy of Sciences and the Mexican honorary academy, El Colegio Nacional. thesis, which he completed at the Colegio de Posgraduados near Mexico City, was at the time, the most thorough analysis of plant communities in Mexico’s rainforests. Sarukhán received his doctorate at the University of Wales in the UK, working with leading plant population biologist, John Harper. Their research into buttercup demography (the likelihood of a seed growing into a mature, fruitful plant) is considered classic work in ecology. It is cited frequently in both specialized literature and general ecology textbooks and was considered by the Journal of Ecology as one of the 10 most influential papers of the last century in plant population ecology. While many scientists stay abroad after completing a PhD, Sarukhán returned to his home country in 1972, to become Professor of Ecology at his alma mater, UNAM. There, he continued to work on plant demography – this time on Mexico’s tropical trees – establishing the first-ever comprehensive study of birth rates, death rates and reproduction in a tropical tree. At UNAM he served as Director of the Institute of Biology from 1979 – 1986, an institution that held the country’s most important scientific plant and animal collections. He later founded what would become UNAM’s Ecology Research Institute, of which he is now Emeritus Professor. Sarukhán has helped many of his students enter doctoral ecology programs at some of the world’s top international universities. He also designed the first ecology PhD program in Mexico at UNAM, which now boasts hundreds of graduates, many of whom are now serving in leadership positions globally. In 1989, amid a period of organizational crisis at UNAM, Sarukhán became the university’s Rector (equivalent to President of the university). It was during his two four-year terms as Rector that Sarukhán launched his life’s work, CONABIO (Comisión Nacional para el Conocimiento y Uso de la Biodiversidad); (English: National Commission for the Knowledge and Use of Biodiversity). In 1992, he was able to convince the then-President of Mexico to create a federal-level agency that would inventory the biodiversity of Mexico, as well as monitor its conservation and sustainable use. This grand vision would be one of the first models of its kind in the world. Though Sarukhán could not leave his Rector responsibilities – he assisted the Mexican government in creating CONABIO and installed its first Director, Jorge Soberón – all while leading UNAM’s faculty of 28,000 and a student body of 260,000. In 1998, Sarukhán completed his Rectorship, having successfully corrected the course of UNAM, a university founded in 1551. It was a stunning achievement for a classically trained field ecologist. Sarukhán then spent a year at Stanford University, as a Tinker Visiting Professor, teaching and planning a new restoration ecology program in Mexico. After this, he returned to Mexico to assume leadership of CONABIO. CONABIO is now a powerful institution with over 300 employees and an annual budget of over US $14 million. As a federal agency, CONABIO is an obligate participant in decisions about Mexico’s environmental protection, forestry, fisheries, agriculture and international policy. Now 76, one of Sarukhán’s core focuses is citizen science. In the true spirit of bringing science to the people, CONABIO’s biodiversity database is publicly available on the internet, with hundreds of thousands of people accessing its information. Citizens can upload photographs that track all kinds of natural resources – from monitoring native plants to counting migratory birds – allowing anyone to contribute to scientific understanding. Sarukhán is extremely proud that in the past three years, amateur naturalists have discovered three new species. He believes that if society cares about natural resources, citizens will always demand justice for the environment. INTERESTING FACT: His son, Arturo Sarukhán, was Mexico’s ambassador to the United States until 2013.